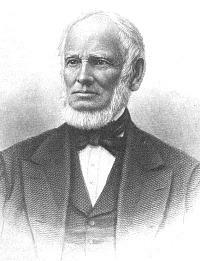 Adin Ballou (1803-1890), founder of the utopian community at Hopedale, Massachusetts and a leading 19th century exponent of pacifism, was during his long career a Universalist, a Restorationist, a Practical Christian, and a Unitarian minister. A tireless reformer, he sought to bring his Christian and socialist vision of society into practice. He earned the love of his allies and the respect of his adversaries. He disconcerted them all, however, with his frequent conversions. Taking up a succession of social reforms, he put himself and those who followed him more and more at odds with established society. Adin visited the Boston area that fall and stayed in the homes of both Hosea Ballou 2d and Hosea Ballou. At this time the Restorationist controversy—a theological, political, and personal dispute between Hosea Ballou and Edward Turner, Paul Dean, and four other Universalist ministers—was about to reach a climax. Theologically, the controversy concerned the existence or non-existence of a limited period of punishment for sin in the afterlife. Hosea Ballou disbelieved in "future punishment"; his opponents, the Restorationists, held such discipline an essential part of God's plan. Adin, who believed in "future punishment," was assured by Hosea Ballou 2d that Universalists tolerated diversity in the matter. 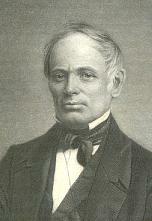 In his autobiography Adin recalled that his cousins described the controversy as a personal and political vendetta against Hosea Ballou on the part of Restorationists, "represented as mere ambitious factionists and mischief-makers in the order, with no honest, solemn convictions of doctrinal faith or of Christian duty." Shortly after the appearance of the first number of the Independent Messenger, Ballou was dismissed from the Milford church. He immediately accepted a call to the Congregational (Unitarian) society in neighboring Mendon, Massachusetts. Although he served a Unitarian church, 1831-42, Ballou continued to identify himself as a Restorationist and treated with Unitarian ministers in a spirit more ecumenical than fraternal. In this period Ballou formed what was perhaps the most intense friendship of his life with Bernard Whitman, the Unitarian minister in Waltham, Massachusetts. Together they tried to break down the barriers—social, educational, and theological—between Unitarians and Restorationist Universalists. Their efforts were terminated by Whitman's untimely death in 1835. After Whitman's death, although Ballou remained a Restorationist, he took little part in apologetic and ecclesiastical affairs. Instead, he devoted his energies to social reform.